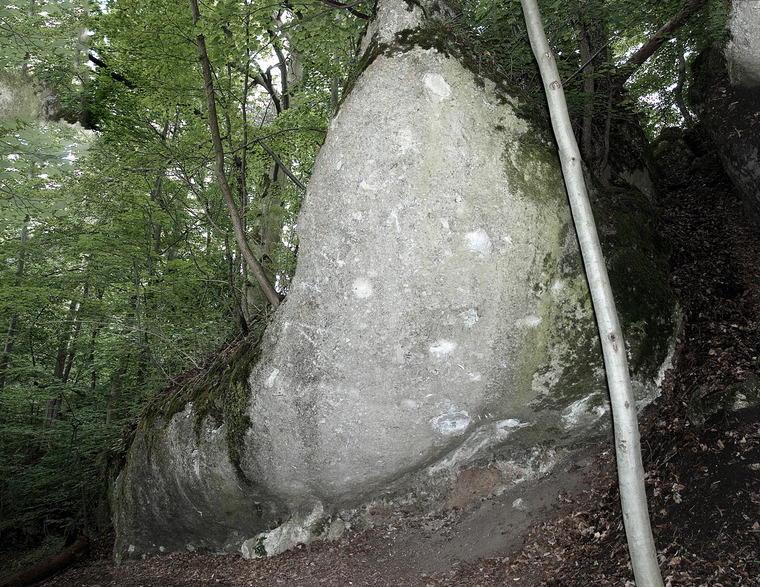 "the closest boulder-area around Vienna...quite strange & painful rock in a dark, spooky forest, where you'd image zombies...but lots off good (overhanging) lines though ;-) "
start far left on the block, traverse into "mila superstar" and finish with it. originally without the low start from the jug and given 6C. nice moves but slightly defined... for the big move up in the end use the two incut crimp pockets and generally stay in the face not back around the arete in the moss with all the jugs. Starts on the lowest crimp on the arete for the left hand and on the three-finger undercling in the roof for the right hand. Normally the exit is climbed over Tarzan after the first moves. The direct version staying under the belly of the arete without the big feature in the middle of Tarzan is still a project. standstart of slowmode. 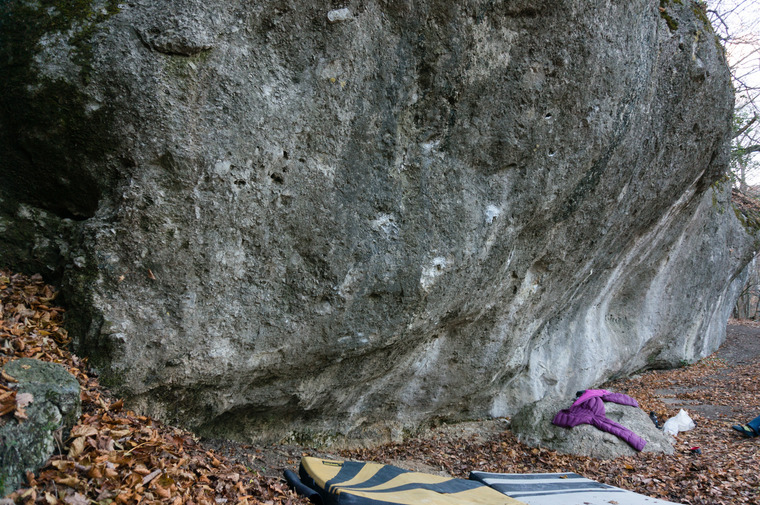 stem your way up the tricky dithedral over the big pebble to the finish jug. from the right jug with a tricky sequence into the big jug of uga aga iga, same exit. many possible variations but probably a bit morpho and on the harder side for smaller climbers. There are 43 routes that have not yet been drawn on a topo image. See full list of routes from Hauptgebiet .